kj Hair Spa stylists bring you the perfect combination of experience and the latest trends. Our team has years of training and a diverse background that includes work as make-up artists, runway modeling and fashion consulting, as well as hair styling in California, Florida and right here in North Carolina. It's an easy drive from anywhere in Apex, Cary, Holly Springs, Morrisville, Fuquay-Varina, Raleigh, Garner and anywhere in southern or western Wake County for a fun, fashionable look from one of the Triangle's best hair stylists. We’re eager to give you the fabulous look you deserve! Click on the individual links to find out more about each of us. When it comes to beauty and fashion, Krista Clark Bizzell has just about done it all! She’s been a Miami Dolphins cheerleader, make-up artist, fashion consultant and runway model ... and for roughly two decades, one of the area’s popular hair stylists. Mandy has a classy yet modern style and a good eye for style that serves her clients’ well. She lives by CoCo Chanel’s famous quote “A girl should be two things: classy and fabulous” and strives for each and every one of her clients to leave her chair feeling this way! Crystal Godfrey is a stylist with 10 years experience. Customer satisfaction is her top priority. 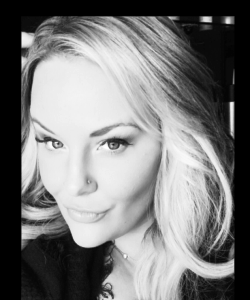 Crystal does everything she can to ensure that every client receives the best experience possible. 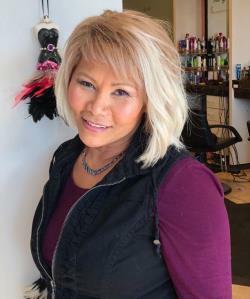 I moved from the Virginia DC area to North Carolina three years ago with plenty experience, specializing in the haircuts and colors. I enjoy getting the clients to change up their hair whether it's with a cut, color or hairstyle. I get my inspirations from Instagram, the internet, magazines and from the clients too. I have definitely enjoyed doing what I do, for as long as I have been in the hair industry. Sonia is our California connection to all of the latest trends and styles. A transplant from the bay area she brings with her years of experience and a sunny outlook on hairstyling. 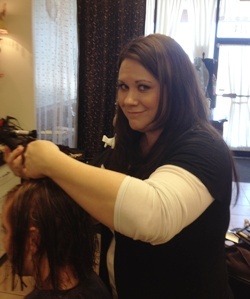 Sonia is our Schwarzkopf colorist at kj Hair Spa.